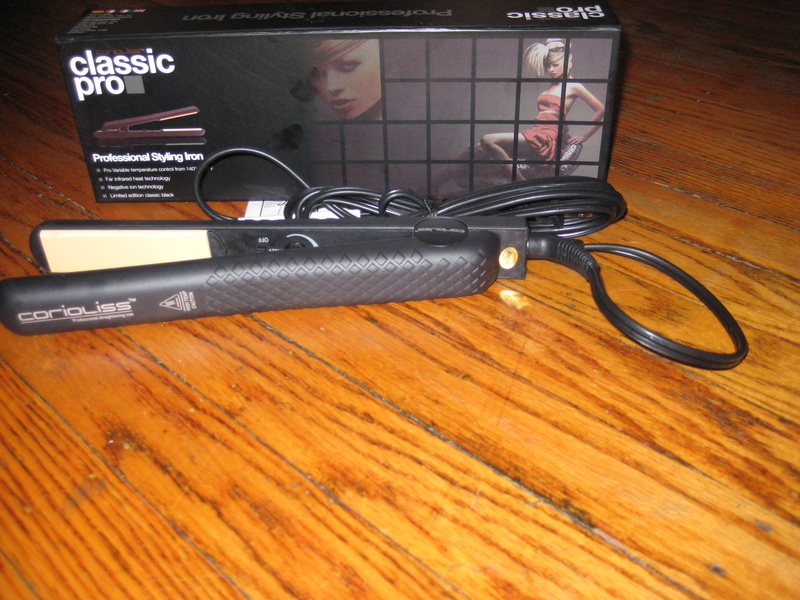 For years I have relied on my Hot & Hotter ceramic gold flat iron. 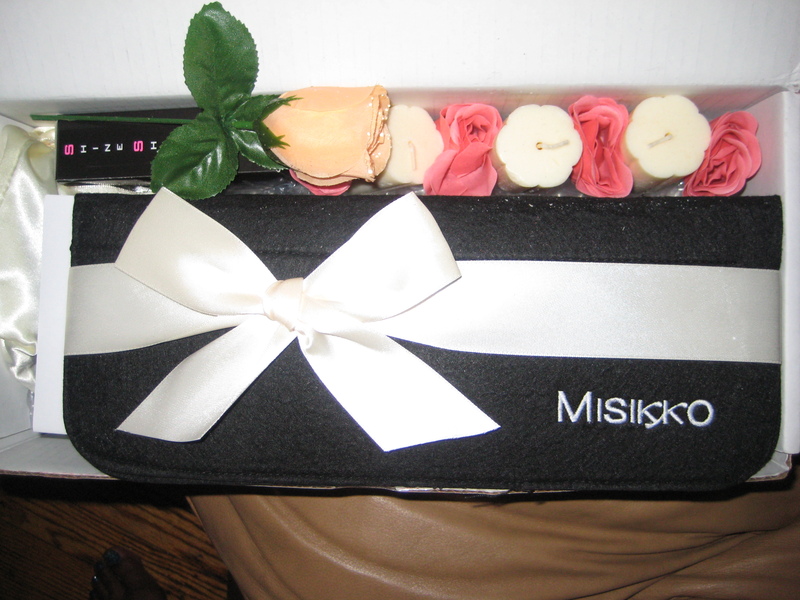 I was sent the Corioliss Classic Pro Flat Iron (1”) by Missiko. Missiko specializes in the sale of professional hair straighteners, and some of the best hair dryers. 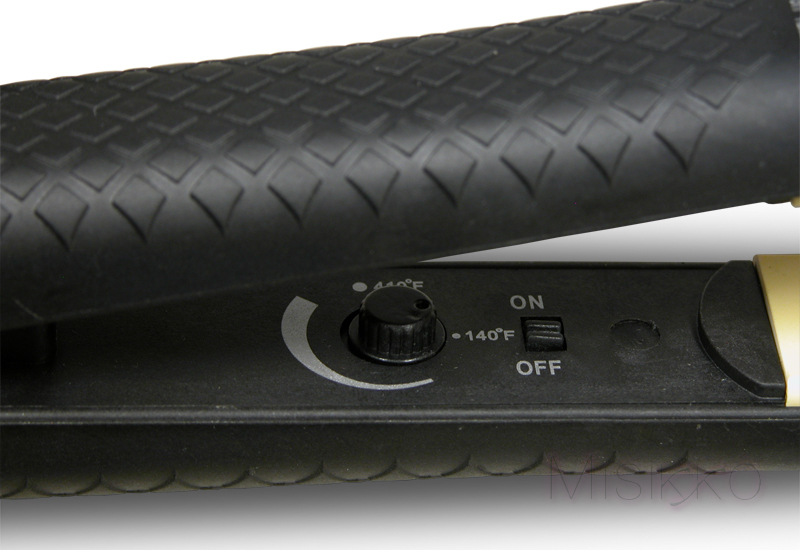 They have a great selection of ceramic flat irons to choose from, including T3, Croc, Chi and more. 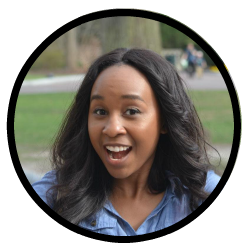 In between my weekly salon visits, I tend to curl/flat iron my hair myself, especially if the humidity or rain attacks my curls – leaving me with flat hair, which I hate! There are also times when I end up having to wash, wrap, and curl my hair myself if my hair stylist is unavailable. 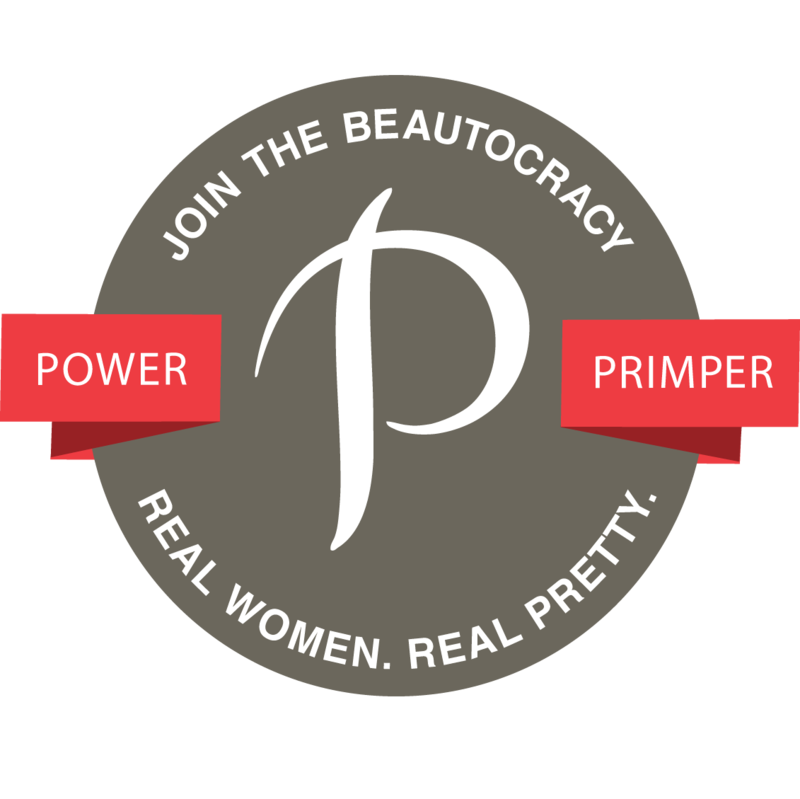 Having the perfect styling tool(s) is essential for me to have. Before I start my review, I just want to point out how beautifully packaged this flat iron was when I received it (See above). Faux roses, vanilla scented candles, a sachet with hand sanitzer and Misikko branded emory boards (nail files), Hanna Shine Shield, Misikko branded heat proof pouch/mat. This did not change my review of the product in any way. My thoughts: (Rating: 3 out of 5) To really put it to the test I ended up using this flat iron on my sister’s hair since her hair is very coarse & dry. I applied some of K. Beam’s hair butta to her hair prior to styling. The results were good, but not great. 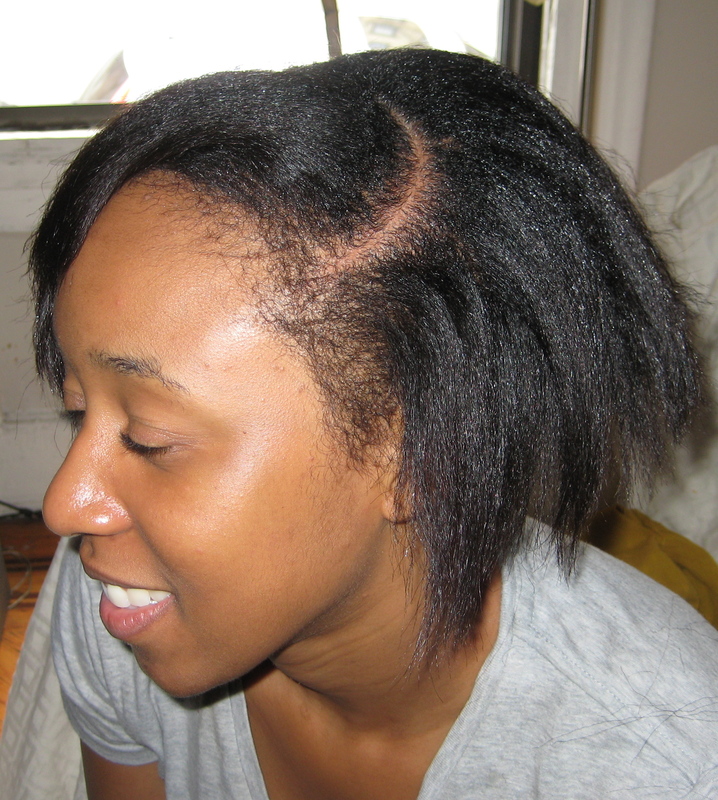 I actually get better results from my Hot & Hotter ceramic flat iron, which I paid $36. Her hair is shinier (see photo), I believe it’s from the hair butta that I used prior to curling it. Her hair did have body afterward though. 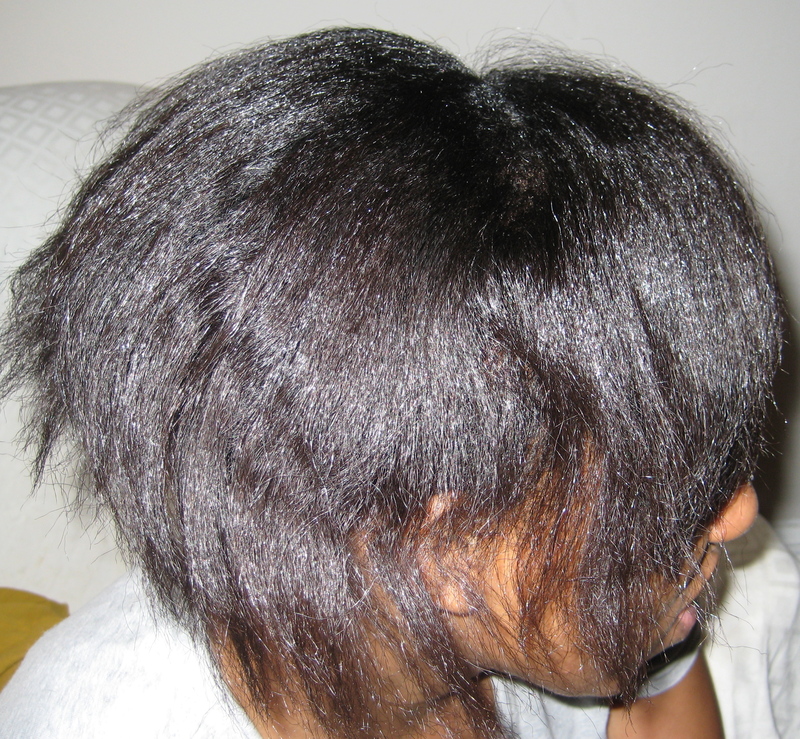 My sister also complained of a “snatching” feeling when I was flat ironing it. I’ve seen this in other reviews too. But, no hair was being pulled out (that I could see). I did notice that the panels didn’t line up perfectly, that usually happens with a flat iron that has had years of use. UPDATE: Day #2 My sister said her hair is still straight & flowy. She went jogging yesterday too. Pros: It’s light weight. 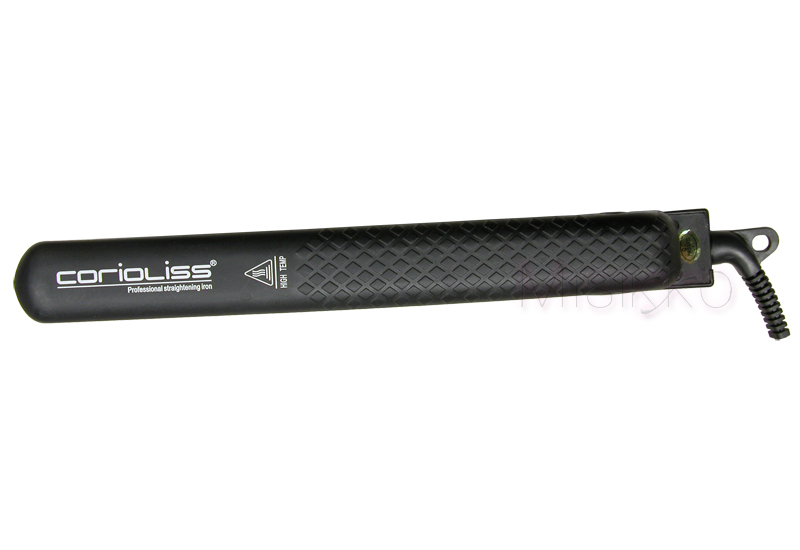 It has a swivel cord, so that you are able to curl your hair from different angles. Cons: Heat settings; I’m used to my flat iron having a dial with different numbers for the different levels of settings for heat. This one only has two, 140°F & 410°F (you have to guess the other settings that are in between). It does get VERY hot. So be careful not to leave it sitting on your counter top unguarded. The price is another big gripe for me. If I were to spend $200 ($89) on a flat iron, I want it to straighten my hair well. It did it’s job but not as great as an iron that price should work. 1. Make sure your hair is dry since wet hair is more susceptible to damage than dry hair (unless you are using a wet-to-dry flat iron). 2. Properly moisturize your hair & use a heat protectant product. 3. Use the lowest heat setting possible that will get the job done. Don’t use the highest setting just because it’s there because you will end up with fried, smelly hair! 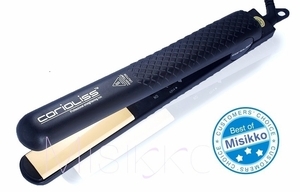 The generous people at Misikko has offered to giveaway one of their Corioliss Classic Pro Flat Irons ($200 Value) to one of my blog subscribers/followers. Requirement: For any of your entries to qualify, you MUST be a public follower of my blog via Google Friend Connect & follow Misikko on Twitter. 1.) Will end on June 20, 2010; 11:55 pm EST . Winner will be chosen at random. They will have 24 hours to respond to me with their mailing information. 1. Blog about this giveaway with links to Misikko and this giveaway post on your blog or personal website. Please leave a link to your post. FTC Disclosure: The product reviewed was sent to me by a company for free. I was not paid for this review, nor am I affiliated with this company in any way, shape or form. This is my honest opinion/review. Awesome Review. Her hair looks so much healthier!! I posted it on facebook enter me.! wow shani’s hair looks so good! that flat iron is excellent.